Click here to open the Service Advantage brochure to recap on this cost effective vehicle maintenance benefit on your New Toyota. At Ian Weigh Toyota we understand that purchasing your car is one of the biggest decisions you will make. We also understand that keeping a vehicle well maintained may have been one of your biggest financial budget items. Toyota Service Advantage will now put your mind at ease, make budgeting for this outlay more affordable and give you peace of mind that your vehicle will be well maintained at the correct intervals to keep it at peak performance. At Ian Weigh Toyota we have dedicated staff that will call you and book your vehicle in when it is due for a service. We are hoping this will take some pressure off you and give you more time to enjoy safe motoring in your New Toyota. In both Rockhampton and Yeppoon Service Centres we have fully factory trained technicians available to work on your New Toyota. We have factory trained Master Diagnostic Technicians leading the teams at both service centres. There will be no ‘guess work’ and you can be assured that your vehicle will be fixed right the first time. If your vehicle simply requires a scheduled service then we may be able to offer you Express Maintenance at our Rockhampton Dealership. This will have your vehicle back on the road in an hour. To achieve this we have specially fitted workshop bays which are manned by up to 4 factory trained technicians working on your vehicle at any one time. We realise lifestyle can be busy at times and by offering this service ensure our customers can still have time to get the important schedule servicing carried out without inconvenience. Our courtesy vehicles ensures you are not inconvenienced. We are happy to drop you off wherever you want and come pick you up when convenient to collect your vehicle. (Subject to pick up & drop off service areas). 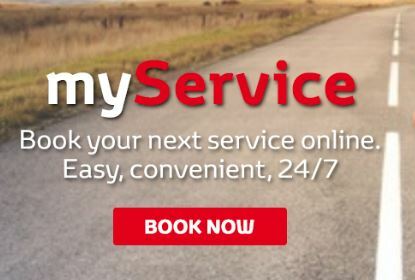 Please visit our service maps to confirm pick up and drop availability for your area. If you prefer to wait in our comfortable customer lounge you are more than welcome. Equipped with television, data connectivity, cappuccino machine and very cushy lounges we aim to make your wait as pleasant as possible. A children’s activity centre is also available for your little ones. Our dedicated Service Car Wash Team will give your Toyota an exterior wash so that you can drive out in clean and well maintained vehicle. This complimentary wash is for all our retail customers when time permits.